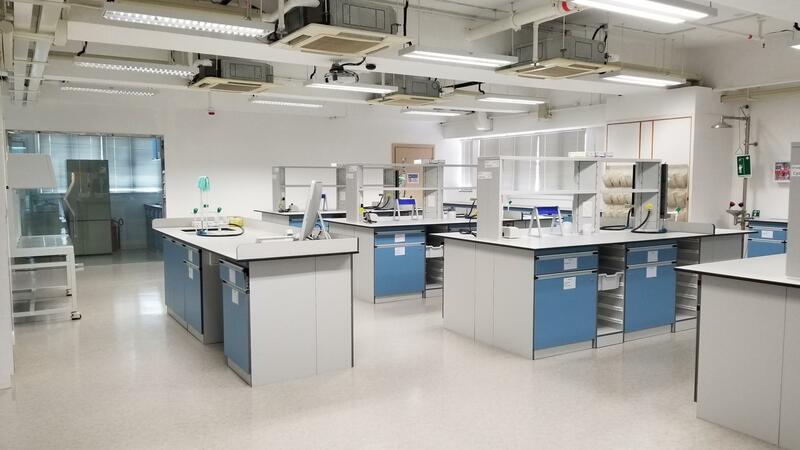 According to the eight KLA Curriculum Guides (2017) from the Education Bureau, the Science (S1-3) curriculum provides students the knowledge of DNA, such as the double helix structure, etc. During the TNK Maker Festival, SU committee set up a popcorn and cotton candy booth at the school canteen. Our classmates and guests could taste delicious snacks on that day. 'Talk to the Life' Sharing Talk was held on April 3, 2019. The Chinese Disabled Art Troupe was invited to share their life experience. A visit to Dialogue in the Dark (DiD) was held on March 27, 2019. The visit aimed to provide students with a better understanding of the difficulties of the visually impaired. A group of 8 students were taken into a completely dark venue for 75 minutes, followed by a debriefing session conducted by a DiD staff and the visually impaired tour guide. The message 'Sight is what we see with our eyes; Insight is what we gain without seeing' was conveyed to students. 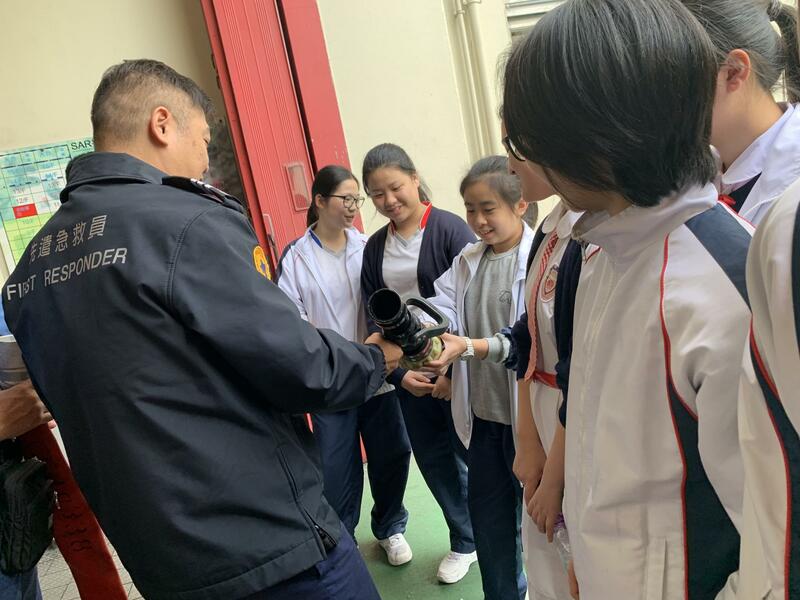 A group of students took part in a visit to the Lai Chi Kok Fire Station on March 25, 2019. This gives our students a chance to meet firefighters and learn more about their lifesaving equipment and techniques. 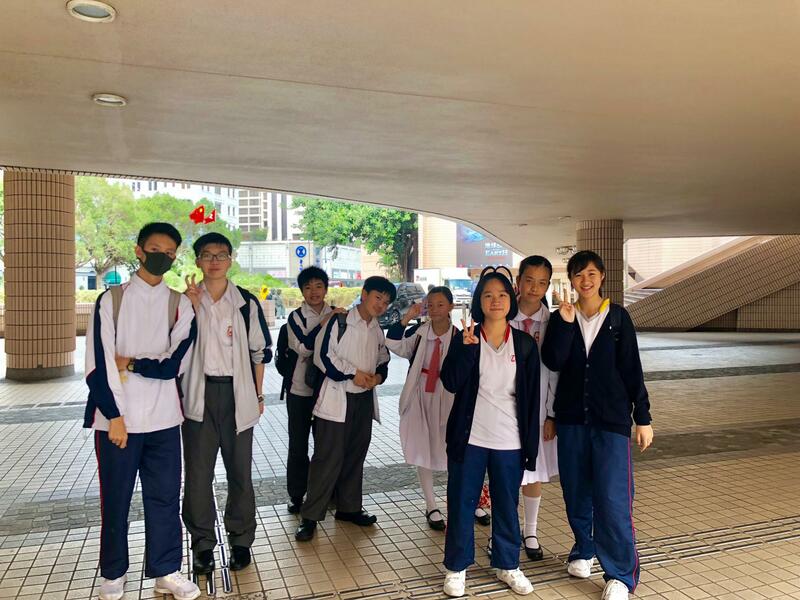 We are glad to invite teachers from Po Leung Kuk Celine Ho Yam Tong College and Ngan Po Ling College to our school on 21 March 2019. Teachers had a school tour in our campus and we are pleased to share the IT education in our school with them. The result of the 2nd term Inter-class Noticeboard Design Competition has been finalized. For Form 1, the 2nd runner-up goes to 1K. For Form 2, the 2nd runner-up goes to 2D. For Form 3, the 2nd runner-up goes to 3E. For Form 1, the 1st runner-up goes to 1A. For Form 2, the 1st runner-up goes to 2B. For Form 3, the 1st runner-up goes to 3A. The Design and Technology Team attended The Hong Kong Robofest on 29/2 and 10/3. RoboFest is a festival of international competitions and events with autonomous robots that encourages students to have fun while learning principles of Science, Technology, Engineering, and Math (STEM) and Computer Science. Students design, construct, and program the robots. Finally, our DT Team won three awards including RoboArts -the first runner-up, Robo Exhibition - the first runner-up and ROBOParade - the second runner-up.